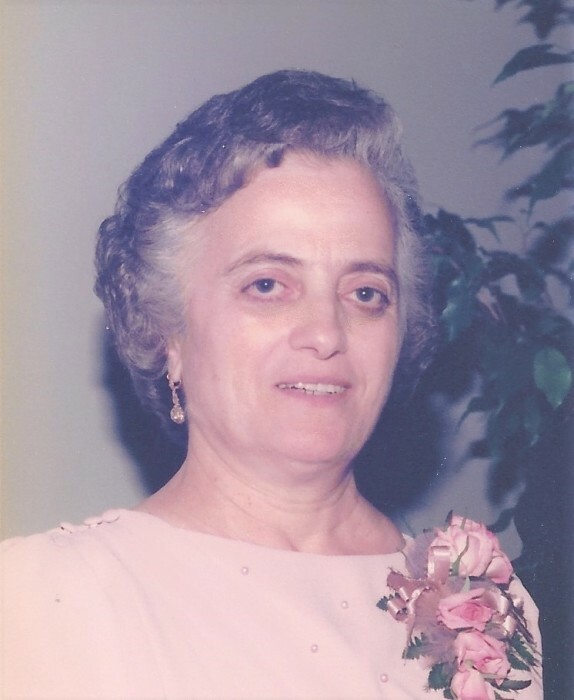 Carmela DiBiase, age 90 of Conneaut, died Friday, April 12, 2019 at Mt. Carmel West Hospital in Columbus surrounded by her family. Carmela was born March 28, 1929 in Bonefro, Italy the daughter of Antonio and Teresa Marinaro. She attended school in Italy and at the age of 24 came to Montreal, Canada. On May 31, 1958 she married the love of her life Costanzo “Custy” DiBiase in Montreal and then they moved to Conneaut to begin their new life in the Unites States. Carmela worked in the kitchen at the former ‘Papes” restaurant and later retired from the Conneaut Area School system after working many years in the school cafeteria. Carmela was a member of the Corpus Christi Parish and attended mass at St. Frances Cabrini. For years she and her husband volunteered their time at many church functions and festivals. Carmela enjoyed knitting and crocheting and was a wonderful “seamstress”. She was always mending clothes for family and friends. Carmela even made her own drapes. Carmela was preceded in death by her parents, husband Costanzo “Custy” DiBiase in 1994, a brother Giuseppe Marinaro and a sister Santarella Columbo. She is survived by a son Nicholas DiBiase of Conneaut, a daughter Teresa and Dr. Mark Ricaurte of Columbus, three grandchildren Maria Ricaurte of New York, Michael Ricaurte of Texas, Anthony Ricaurte of Indiana, many cousins, nieces and nephews in Montreal, New York and Boston, along with Carmela’s dearest and supportive friends throughout her life. Calling hours will be held from 10:00 a.m. to 12:30 p.m. on Wednesday, April 17, 2019 at the Raisian Family Funeral Home, 581 Harbor Street, Conneaut. Mass of the Christian Burial will follow at 1:00 p.m. on Wednesday, April 17, 2019 at St. Frances Cabrini Church, 744 Mill Street, Conneaut with Fr. Philp Miller of Corpus Christi Parish officiating. Entombment will follow at Greenlawn Mausoleum, Route 20, North Kingsville. Memorial contributions can be made in Carmela’s memory to Corpus Christi Parish, 744 Mill St, Conneaut, Ohio 44030. Carmel’s family would like to extend a heartfelt thank you to the nurse’s aides, nurses and doctors on the 7 Tower and 3 Tower at Mt. Carmel West Hospital in Columbus for the wonderful care and compassion given to Carmela during her illness.